Solid Brass Single House Number - - 4", 5", or 6" high brass home address numbers. 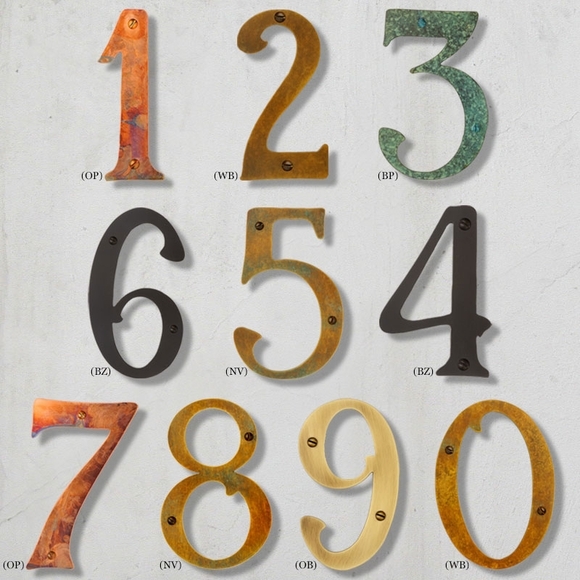 These elongated and graceful numerals come in seven different finishes and are made in the USA. Dimensions: 4", 5", or 6" high x 1/8" thick. Each number has two holes to facilitate mounting. Move outside the box with individual house numbers that you can arrange as you please.